This is the story of 158 days I spent travelling around Asia back in 1981. It is the only time in my life that I have ever kept a detailed diary of my experiences whilst on the road. Prior to this trip I had already done some travelling; a summer in Ibitha, the next year hitch-hiking around Europe and then four months in the USA and Canada. During this period I also spent some time living and working in Germany. This was the big one though, an eagerly awaited journey to the Asian continent. 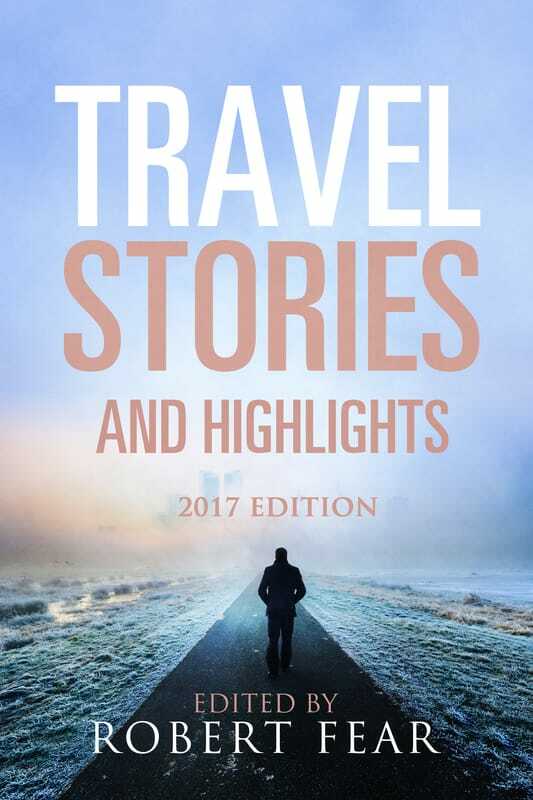 By reading this diary you can travel with me day by day and experience the mixture of highs and lows that I went through during this fascinating trip. The first 59 days have previously been released on Kindle as ‘£99 to Hong Kong’ and ‘Time in Thailand’. 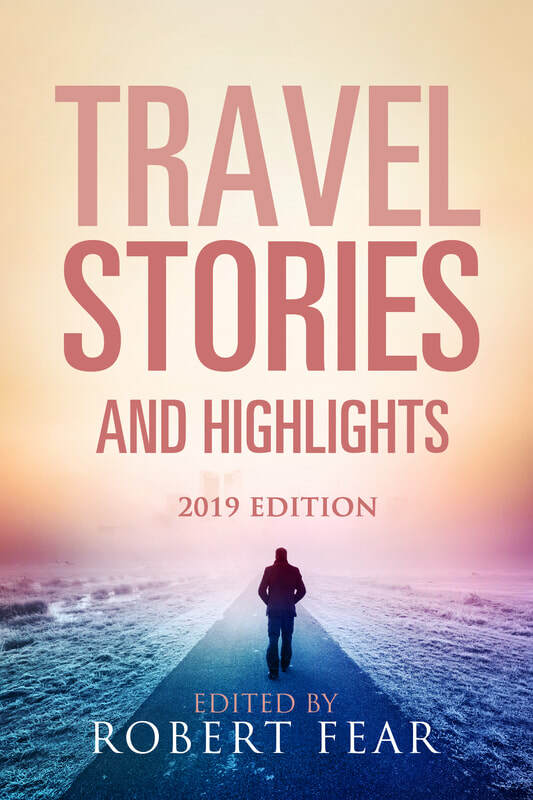 The responses to these publications, both positive and negative, encouraged me to transcribe the rest of my diary and publish the entire story of my travels through Asia. My motivational phrase was ‘It was written for a reason, so why not share it’. There has been some minor editing, mostly to make the diary a little easier to read. Apart from that the content and style remains the same as when I wrote these detailed words, opening my heart and soul to the reader. 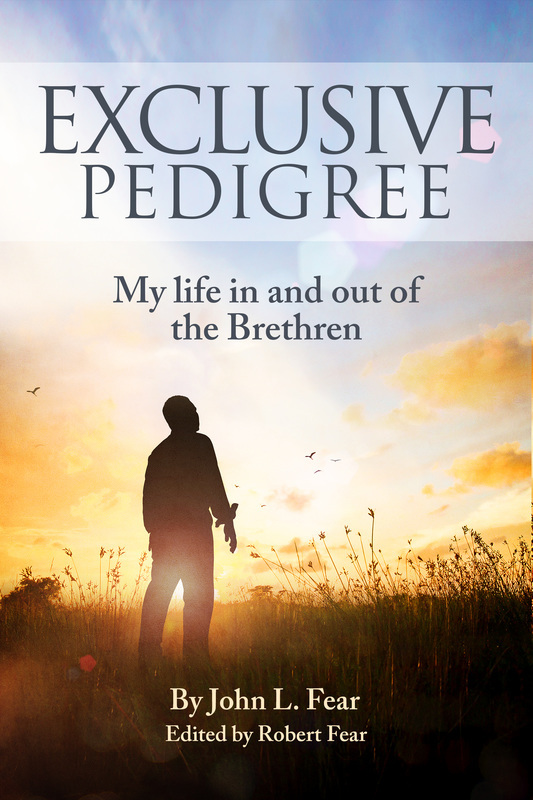 A word of warning though; these memoirs contain extensive references to drug taking which, although not condoned by the author these days, forms an integral part of the story. If this is likely to offend you then this is probably not the book for you. My hope is that you will find this diary both interesting and challenging. If you learn something from my youthful naivety and the mistakes that I made, then this publication has achieved its purpose. 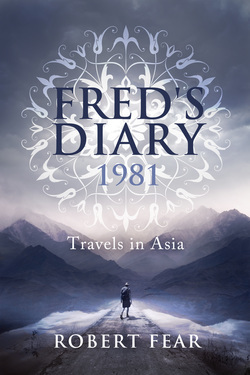 Dream becomes reality as Fred starts another of his adventures, this time heading for Asia. As I write we are an hour and a half away from Bombay, where we will be landing to be refuelled and for a change of cabin crew. Local time in Bombay is 4-30 a.m. (Friday) although my body is registering 11-00 p.m. (Thursday, UK time). I left home this morning and Mother drove me over to catch the ‘727’ bus from Reigate to Heathrow. Arrived and checked in at 2-30 p.m. before buying a couple of books and magazines for the flight and going through Passport Control at 3-15 p.m.
Boarded the plane for Hong Kong and we took off shortly after the scheduled time of 4-00 p.m. The flight is proving excellent value at £99, no wonder British Airways are losing money. We flew over Germany (south of Frankfurt), Austria, Yugoslavia, Greece and then later Saudi Arabia and Bahrain. I was unable to see much as it got dark shortly after passing over Germany. The flight has been great with tea, a few brandy and cokes, dinner with white wine and all the trimmings, and headphones (although I didn't watch the film). Have already read one of the books, Jeffrey Archer's ‘Not a penny more, not a penny less’ which was very good. We are due to land in Bombay at 6-00 a.m. local time so I will try and get a bit of rest before arriving there. We landed in Bombay at 6-15 a.m. The city was still in darkness and from the lights of the city and coastline it was difficult to believe that we weren't still in Europe. Passengers for Bombay disembarked but all transit passengers for Hong Kong had to stay on the plane. I saw a bit of India from the window but not much. As I am writing this the new passengers are boarding and they are preparing the aircraft for take-off. It is 7-30 a.m. and has been daylight for ¾ hour with a light fog, temperature is 20C. Eventually took off at 8-00 a.m. and got a good view of Bombay which in parts looks pretty squalid. We were advised that the flight to Hong Kong should take 4¾ hours and we will arrive at 3-00 p.m. Hong Kong time is 2½ hours ahead of Bombay and 8 hours ahead of London so when we arrive my body will be telling me it is 7-00 a.m. I managed to get a couple of hours sleep before having breakfast at 12-30 p.m. (H.K. time). We passed over Burma and the south of China which all looked very wild and remote. We should be arriving in Hong Kong in about an hour from now. The weather there is overcast but warm, 20 C.
The flight approach was made mostly in clouds until the last couple of minutes when we were able to make out some of the islands before swooping down low over the harbour (it appeared as though we were going to land on the water) and landing on the runway which extends out into the sea. Disembarked fairly quickly and was soon through Passport Control (they gave me a six month visa). After a long wait for my bag I went through Customs where the only question they asked was whether I had any firearms. I was soon outside and got my first taste of the hustle and bustle of Hong Kong. Waited 20 minutes for a 201 bus to take me to Kowloon and sat dazed in the bus trying to take in the many sights amid the clamour of Chinese conversation, which to say the least is pretty loud. After a ride of half-an-hour I got off the bus in Kowloon and within twenty minutes, with the help of a young Chinese woman, had located Chungking Mansions (a collection of supposedly cheap guest-houses). Eventually found a room free in one run by an old woman for HK$40 (expensive but also clean and tidy). I tried knocking the price down for a longer stay but she wouldn't consider it, so as I am tired decided to take it for one night and look around tomorrow for alternatives. Got into the room at 5-45 p.m. and tried to get some rest. It is now 8-30 p.m. as I write, after getting a couple of hours sleep disturbed by a T.V. being played very loud in the next room. One thing I'm going to have to get used to here is noise. Am now going to go out in search of something to eat and drink. I returned to the room just before midnight after a fascinating if bewildering wander around different parts of Kowloon. Lots of bright lights, scores of different shops and stalls, amazing contrasts between rich and poor; the swish tourist hotels near the waterfront compared with the slums and beggars in the backstreets. Saw a few western faces but not many. Had a meal in McDonalds of all places as I couldn't pluck up courage to go into one of the Chinese places, I will do that tomorrow. Feeling a bit lost and far from home but hopefully that will soon pass. Woke early and went out in search of breakfast and a cheaper place to stay. Wandered about for a while watching the floods of Chinese going to work and the kids on the way to school. Loads of the kids were selling flags for a hospital and after being accosted several times decided it would be better to buy one. After that I was left alone except for a couple who tried to get me to buy another one. Talk about saturation, by 9-00 a.m. everybody had a flag. Had breakfast of egg & tomato sandwiches + lemon tea, before heading down to the Star Ferry and the waterfront to orientate myself before starting my search for a bed. The Y.M.C.A. was full (cheapest room $35), another two places were $20 & $17 for beds in a dormitory. Eventually settled for a hostel in Chungking Mansions (16th floor) in a dormitory for four, $15 a night, paid for two nights. Am now back in the old room packing my bag before heading over to the hostel, it is 10-00 a.m.
Got my stuff over to the Traveller’s Hostel no problem and soon got chatting to a couple of English guys who are heading off to Bangkok today. They gave me a few hints on what to do in Hong Kong. About 11-30 a.m. set off to get the Star Ferry over to Hong Kong island which only costs 50c first class or 30c second class. As change is often at a premium here and you have to pay the exact amount it is sometimes easier simply to go first class. The trip took five minutes and the service is regular which will be very useful if I get work as the whole journey would only take 15 minutes each way. Spent a while wandering around Hong Kong Central which is the business area and incredibly crowded. I have never seen so many people crammed into such small areas. The noise of the traffic makes it all pretty hectic. After grabbing a snack, I located the Connaught Centre where FNBC (First National Bank of Chicago) is and also the tourist office where I picked up some booklets. I then decided to get a tram out along the waterfront towards Shauikan which is another district of Hong Kong. The trams were all jammed solid so I backtracked three or four stops before catching one of the boneshakers and getting a good seat upstairs. For the next hour I sat enthralled taking in the sights, varying from the comparative prosperity of the business district to the poverty of the outlying districts where people lived in shanty towns on hillsides and on boats in the harbour. Spent a while wandering around the markets of Shauikan, where I was the only western face to be seen, before catching a tram back. The flat fare was only 30c each way. On the return trip I got talking to a young Chinese girl for almost half-an-hour and had a very interesting chat. The whole day's weather had been pretty overcast but in the afternoon it rained (or rather drizzled) a lot which only became unpleasant when the wind got up. Started to make my way back to the hostel and got there about 4-30 p.m.
Was pretty tired from all the walking so decided to have a short siesta. Woke again at 7-30 p.m. after a few weird dreams (which is why I enjoy siestas) and then lay on my bed for a while reading literature on H.K. and writing; this diary and a letter I had started yesterday to Rita. Headed out again at 9-00 p.m. Walked down to Kimberley St. where I had heard there were some good restaurants. I found a Chinese one which looked interesting and not too expensive. So began one of the biggest experiences since arriving, trying to order a meal and also eating with chopsticks. I managed to make them understand that I wanted a chop suey but what I actually got astounded me. After 20 minutes of waiting and drinking the ‘herbal’ tea which they served me, I got a bowl of chop suey which would have provided two or three people with a good meal. I then had to try and transfer the food into my personal bowl with the ladle provided and chopsticks (which I'd never used before). I must have been the laugh of the restaurant. After an hour or so I had eaten as much and drunken as much tea as possible (I had only managed to eat about a third of the bowl of chop suey). Paid the bill of HK$27, which was in some ways quite a cheap initiation in the art of using chopsticks. I then wandered around Kowloon for an hour or so before arriving at the ‘Blacksmiths Arms’, an English bar, where I drank a few beers before closing time at 1-00 a.m. Chatted to an American guy, Jim, who is also staying at the hostel and has been working for the last six months on a news magazine here in Hong Kong. Then returned to the hostel and am at the moment sitting on a couch outside the dormitory having a last cigarette before going to bed. Lay in bed for a while before getting up at 9-00 a.m. I am not feeling too well today, very weak as though I have a touch of flu. My feet and legs are aching because they are not so used to the exercise they are getting again. Also one of the nerves in one of my capped front teeth is playing up. I took a couple of tablets to try and get rid of the various aches and pains. Left the hostel at 9-30 a.m. and went in search of breakfast. Had an egg & ham roll + coffee. Then caught a bus down to the Star Ferry and crossed the channel to Hong Kong Central. I waited for ten minutes before catching a No.6 bus out to Stanley, another part of HK. The journey took 45 minutes (cost $1-50) and wound high up into the hills behind the central area. Some of the views were quite startling, underlining the fact that Hong Kong is incredibly compacted with every available piece of land being used for new skyscrapers. Arrived in Stanley about 11-30 a.m. and spent a while wandering about, along the coastline and then through a market area squeezed into little streets near the coast. Again, even though this area is not so heavily populated, one can see the huge contrasts between rich and poor. Stopped in a pub called the ‘Smugglers Inn’ and had a couple of small beers ($3 each) before catching the bus back to H.K. central. Then spent a while wandering around the markets which were packed. Today being Sunday all the Chinese families are out and about. I then decided to take the funicular railway (Peak Tram) up into the hills behind Hong Kong central. After waiting for half-an-hour I eventually got on (cost $2 one-way) and sat back as the tram headed up the hillside sometimes at angles of 45 degrees, quite staggering. Had a short look around at the top but as visibility isn't very good and I am already very tired, will come back another day when the weather is better and have a good look around then. Caught a public light bus back to Star Ferry ($1-50) and headed to the hostel where I arrived at 4-00 p.m. As I was still feeling pretty rough I went to bed for a while and didn't wake up until nearly 8-00 p.m. Felt a little better although still a bit under the weather. Had a shower and then sat around reading while my hair dried. Went out at 9-00 p.m. and caught the ferry across to HK central. I wandered down the waterfront and after a long walk found the ‘Poor Man's Nightclub’; a collection of stalls selling everything from watches, radios, suits, palm readings and food. I sampled a couple of dishes which didn't require the use of chopsticks and was well satisfied on an outlay of only $5. A much better experience than last night and it was very good food as well. Walked back then to the ferry and in Kowloon once again went to the ‘Blacksmiths Arms’ which was much quieter tonight. Had a few beers in the time from 11-00 until 12-00 (when they close on weekdays) and also chatted to a girl behind the bar who had only been in Hong Kong two weeks with a friend and had found a job there almost straight away. Went back to the hostel and was in bed by 12-30 a.m. Stayed in bed until 8-30 a.m. listening to my radio through the earphone. They have quite a good English language commercial station. The weather prospects sound good, cloudy, warm & humid (94 per cent humidity) with sun this afternoon, 24 C.
Still feel a bit weak and my tooth is still giving some trouble but am a lot better than yesterday. Got dressed in good clothes and collected my references to head over to FNBC, job hunting. I was in a fairly confident frame of mind. Had breakfast and then caught the ferry and arrived at FNBC at 10-00 a.m. Spent ¾ hour chatting with Mr. Grabowski and giving him news of Frankfurt. It soon became obvious that there was absolutely no hope of me getting a job. Very depressing as I had based so many of my plans on this assumption. The explanation is logical and I had no arguments against it. As Mr. Grabowski explained, there are only two ex-patriots working in the branch, himself (the manager) and his deputy. The bank simply cannot afford to employ anymore because on top of a salary they also have to pay out on accommodation (very scarce and for a reasonable place at least $20000 a month). This is why they normally only employ local staff at a rate of $2000 a month. I asked about ways of getting around this but considering the simplest room would cost me $1500 a month there is no way I could save money. Left after a really interesting talk and went out onto the pier where I sat for an hour trying to sort myself and my plans out after they had been so drastically upset. Went back to the hostel at midday and sat in the T.V. room writing and chatting to an Australian and an English guy who are doing some work as film extras, there might be possibilities there. Sat around talking and writing before going out to post letters to Rita and Janice. Then I wandered around the shops, bought some malaria tablets and also some batteries for the radio. Back at the hostel again I lay on my bed reading, dozing and listening to the radio. Then went out for a while, had a Big Mac & chips at McDonalds ($6-50). Paid $60 for the next four nights and then went to watch T.V. ; first a football match recorded a couple of weeks ago between Liverpool & Everton and then ‘There's a girl in my soup’ with Peter Sellers. This caused great amusement to the crowd of Aussies and Americans in the room. Stayed in bed until 8-30 a.m. reading and listening to the radio. Got up and went and got some breakfast; eggs, ham, toast & orange juice. Decided today to take a look around the New Territories by bus and then later go and see some parts that take my fancy. Walked up to the Jordan Road ferry where I caught a No.50 bus ($2) to Yuen Lang which is in the North West. Our trip took two hours and was very bumpy and sometimes pretty hair-raising as we careered along roads around the coast. The ride provided many contrasts which I'll try to describe. Coming out of Kowloon we passed through all the suburbs with their shops, high rise flats, bustling Chinese markets and outdoor restaurants. After about an hour we started seeing the newer developments and areas of industry such as the brewery (San Miguel) and other factories. Construction of new high rise flats was typical of what is going on all over Hong Kong but slightly surprising here as the New Territories are due to be handed back to China in 1997. The building construction used all over Hong Kong is extremely primitive. Scaffolding consists of bamboo lashed together and when this rises to twenty stories it looks extremely unstable. However, it must be safe as it is still so widely used. After these areas of new development we came to the more rural farming areas, although at this time of year there doesn't appear to be too much growing. Arrived in Yuen Lang at 11-30 a.m. and then spent an hour or so wandering around the town looking at the shops and the various street markets which were the most fascinating I have so far seen. Very difficult to describe it all but I'll try and give some idea. There were all sorts of vegetables, fruits and herbs imaginable and also different sorts of animals, many of them still alive such as crabs, lobsters, fish and chickens. The most amazing sight was to see women walking away with live chickens under their arms. The variety of shops and street factories were also amazing with many cloth orientated places and rows of girls working at antiquated sewing machines. Another point that struck me and which was most poignant in this town was the way they pollute their inland waters so indiscriminately. The canal running through Yuen Lang really stank and looked almost solid. In all the time I was there I didn't see another Westerner and was the subject of a lot of strange looks. At 12-45 p.m. I caught a No.77 bus to Sheung Shai and this journey took ¾ hour. The bus was full of mostly schoolchildren and we passed through some really backwoods areas, getting very close to the Chinese border at one point. Had half-an-hour in Sheung Shai, which was very interesting. As my tooth was giving me hell I went to a chemist, where they hardly understood me at all, and got a Chinese potion (which actually consists of alcohol and oil of cloves). It did a bit of good but not much. At 2-00 p.m. caught a No.70 bus back to Kowloon. The route this time was down along the east coast past the university and more building construction and also the airport where I saw a couple of aircraft flying in low over the town before landing. Back in Kowloon I went to another chemist who gave me some painkillers (10-$8) which are helping a bit. Then went back to the hostel where I arrived at 4-00 p.m. and lay on my bed writing this and reading. Should mention the weather which is cooling down (to 19C) and all afternoon we have had a very light rain (which by English standards is hardly noticeable). Since the start of the year they have had only 6 mm of rain. Spent the rest of the afternoon reading and also chatting to some guys who had moved into the dorm. There are two German guys from Berlin and an English bloke, Guy, who has been travelling for eighteen months and had just come up from Nepal. We went out for a meal about 8-00 p.m. with an Austrian guy he knew from Nepal and had a good laugh at a Chinese place. My experience with chopsticks was a lot better this time. I had rice, sweetcorn and diced pork plus lots of tea and a beer (cost $16, very good value). We sat for around an hour and a half chatting mostly about travelling and the other two's experiences in India and Nepal, very interesting. Then I returned to the hostel with a couple of cans of beer. We had quite a laugh in the T.V. room watching a couple of old movies. I dosed myself up with painkillers so that my tooth is not too bad. I am hoping that it will recover on its own but if it’s infected then I will have to try and find an English dentist as I don't fancy going to a Chinese one. We all went to bed at 12-30 a.m.
Woke up at 8-30 a.m. but as everyone else was still in bed I lay there dozing and listening to the radio for an hour before I got up. The weather is a lot cooler today (15C rising later to 18C) with a fresh easterly wind. I went out at 10-00 a.m. in search of breakfast. Felt very lazy today so after having breakfast I returned to the hostel and sat around chatting, wrote a few postcards which I posted and then spent all afternoon reading a Leon Uris book. My laziness is bought on I think by the pain-killing tablets which have subdued the pain a lot but me as well. I will have to go and change some money tomorrow (my first $400 is gone) so I will enquire then about a good dentist. Went out at 7-00 a.m. to the same Chinese restaurant as last night where I had sliced duck, rice and tea ($14) and was again a lot more confident with the chopsticks. Also saw the guy getting a live fish out of the tank and weighing it on an old set of scales. He was also using an abacus very skilfully (or so it looked) to work out prices. Left at 7-45 p.m. and back at the hostel returned to my reading and later watched some television. A crowd of us watched ‘Casino Royale’, the spoof of James Bond films starring Peter Sellers, David Niven and Ursula Andress. It was very good and we all had a laugh. I went to bed at 12-30 a.m. after a very lazy day, but feeling quite rested. I was awake at 7-00 a.m. as all the others in the dormitory were leaving to go to the airport. Lay in bed reading and listening to the radio. The weather is getting really cool (10C with a maximum today of 12C). Got up at 8-30 a.m. and dressed in some warmer clothes before heading out first for breakfast and then Hong Kong Central where I went to Amex to change some money. Changed DM500 @ 2-51 and got $1255. Returned to the hostel and wrote for a while, chatted with a Swiss girl in German and read a newspaper. Whether it is just the effect of the painkillers or not my tooth is feeling a lot better. When the course of tablets finishes today I will leave off them and see how it feels tomorrow. If it is too painful then I will have to either get some tablets for the weekend or find a dentist. Caught a bus No.5 from Star Ferry at midday for Choi Hung heading out for the east of the New Territories. Choi Hung is a weird town with half being tower blocks and the rest still shacks with plenty of schools. Outside these there were long rows of barrows selling food so I bought a couple of snacks (very tasty) and an apple (all for $2-50). Then caught a No.91 bus out to Clearwater Bay which is right out on a peninsular and where the bus stops way up in the hills, quite desolate for Hong Kong. Arrived there at 1-15 p.m. and started walking down a road which passed through an old military firing range with many warnings not to touch any metal objects. Walked for a while and passed a couple of villages before reaching the coast on one part of the peninsular. Because of the cold weather and the scenery it was difficult to believe I was in Hong Kong. It could almost have been a remote area of the British coast. I walked around some of the coastline before starting to head back. Found a little path which followed the almost dry bed of a mountain stream with accompanying dams and man-made irrigation schemes. Jumped from boulder to boulder for a long way up the hill but soon the undergrowth became too much and I had to head back to the road. Enjoyed being out in the country and so isolated after all the hustle and bustle of Hong Kong itself. Walked back up the hill and caught a bus at 3-30 p.m.
A young Chinese student started chatting to me (he was from Madagascar and is studying here in Hong Kong). We had a very interesting talk before arriving in Choi Hung again. Caught a No.9 bus which took a different route through Mong Kok before arriving back in Kowloon at 4-45 p.m.
Got back to the hostel, had a shower and then sat around on my bed and wrote this and also did some reading before going out at 7-00 p.m. Went for an Indian meal and had vegetable biriani and a beer. The meal was very hot and enjoyable and only cost a total of $13. Returned to the hostel about 8-00 p.m. and watched television most of the rest of the evening, first English soccer for an hour and then a film ‘The Mackintosh Man’. Also found out during the evening that if I wanted to I could work the following day as a film extra (with nine others from the hostel, a total of six guys and four girls). We were all to work on a yacht. As I am writing this belated entry we have just arrived back from the day's work, will write about that tomorrow. Went to bed Thursday at 11-30 p.m.
Got up at 6-30 a.m. The weather is extremely cold for Hong Kong (9C), coldest day so far this year. Met up with everyone at 7-00 a.m. and we got taxis over to the T.V. studios where we were first of all fitted out with costumes. This is where the laughs started. The girls were dressed in 19th century costumes and the guys had to also wear assorted suits from this era. I was dressed like a ‘bus-boy’ in a bright blue uniform. We were whisked up to the canteen and given a breakfast of sausage, ham and noodle soup. We were then made up and taken to a bus which was to take us to the yacht where this set for the Chinese television series was to be filmed. Had a good laugh on the bus with some of the others; Yvonne (Canadian), Sharon and Aja (Swedish) and another girl (English/Australian) + Graham (Canadian/Australian) and an English/Australian guy. The anonymous people are those whose names I've forgotten already and the mixed nationalities indicate a longer period of living in another country. The journey took an hour and a half. We then sat on the bus for another hour before eventually being ferried to the yacht, arriving there about 12-30 p.m. Then the filming and a riot of laughs started. We were meant to be a load of English people on a boat from England going into Hong Kong. Yvonne and I had a couple of ‘important’ parts as passengers standing around in the area of the ‘stars’. Most of the afternoon, however, was spent on various shots of us buying merchandise from merchants by the boat side, in their flat-boats, and throwing money out to boys who dived into the water to recover it. It was very cold and we spent a lot of time huddled around an engine outlet, which was warm, between numerous takes and re-takes. We had a lunch-box at 3-00 p.m. and finished filming at 6-00 p.m. We got back to the hostel at 7-45 p.m. all quite tired. Five of us went to an Indian mess club on the eleventh floor where we had an incredible meal. Between us we got through thirteen different dishes of eggplant, mutton, chicken with numerous chapattis and rice plus five large bottles of beer. It was the most delicious meal I have tasted for a long time and we had a great time. The bill came to $97, $20 each which was really good value. We then bought a few beers and sat around in the hostel chatting until we went to bed at 11-30 p.m., all exhausted after a great day's entertainment and eating. Peter, the guy from the hostel paid us each $100 for the basic work and will pay us a bit more later on for the overtime we worked. I hope to be able to get some more work of this sort over the next couple of weeks. Woke up and wrote this diary, catching up on all yesterday's events. Hope to get to the Cathay Pacific golf tournament today at Fanling. Should also mention that I paid for my bed until next Friday (7x$15=$105). Headed off to the Star Ferry terminal and caught a bus to Kowloon train station where I got an ordinary class return to Sheung Shui or Fanling ($4-20). Got off at Fanling after just over an hour on the train and tried to find a way out to the course but it was difficult and eventually I had to get a bus to Sheung Shui and another one out to the course. Arrived there at 11-30 a.m. Watched a few different players hitting off and finishing before deciding to join Graham Marsh and Ray Carrasco and watch their game. Marsh held the joint lead (-3) and Carrasco was one behind (-2). Neither of them had a very good game. Marsh went one over (73) and Carrasco three over (75) ending, -2 and +1 respectively. The lead was taken by Gallaher at -5. It was really interesting going round with the players as the crowd was not too large. The last day of the tournament is tomorrow and hopefully I can persuade some others to go out with me. After the day's play at 5-00 p.m. David Brown tried to beat the world record of 30 min. 10 sec. for the fastest round of golf. Watched them tee off and then intercepted the runners and Brown at the 11th and 15th before seeing the finish. He managed 31 min. 27 seconds which was incredible. Caught the train back and got back to the hostel at 7-30 p.m. Spent the rest of the evening with our film set crowd and had a great laugh, all of us getting pretty pissed and not getting to bed until 3-00 a.m.